Happy New Year and welcome to 2019! The Disney Travel Company has been keeping us busy with updates-everything from Mickey’s 90th birthday celebrations, to new Disneyland dining options and Cruise itineraries. 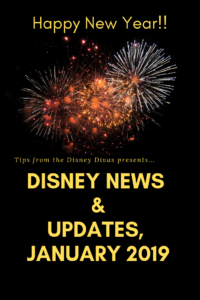 Follow along to read all the new happenings across the Disney Travel Company! 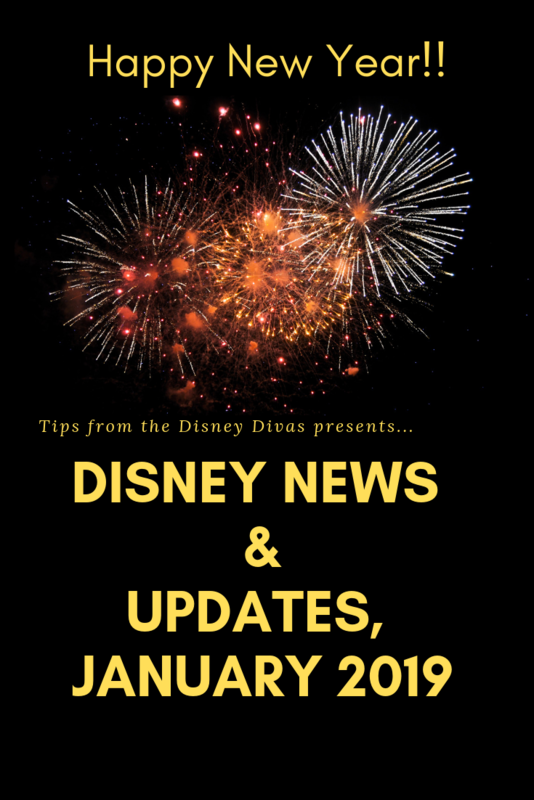 Disney Travel News & Updates, Highlights from January 2019! Summer FREE DINING and Spring Room Discounts ANNOUNCED!! Guests booking a minimum 4-night vacation package that includes a regular rate Walt Disney World Resort and 4-day Park Hopper/Hopper Plus tickets for arrival dates June 5-Sep. 30, 2019 will receive FREE DINING! Offer must be booked by February 10, 2019-let’s get you booked now! In addition, guests traveling April 28-Sep 30, 2019 can receive up to 30% off their room only reservation; guests staying January 30-April 27, 2019 can receive up to 20% off room only reservations. 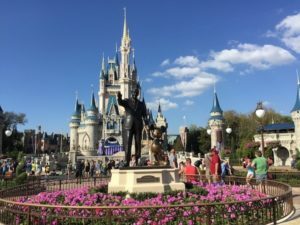 Credit Card Authorization Policy changes for Walt Disney World Resort Guests. When placing a credit card on file at your Disney World Resort (require if wanting to use your Magic Bands for charging), a $100 authorization hold will now be placed on your card. Additional holds to include any purchases, will also be placed. The total hold at any one time will not exceed your purchase costs plus $100. Mickey’s Not So Scary Halloween Party Tickets on Sale! 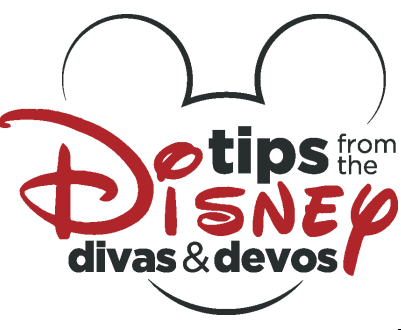 This separately ticketed event will be held in Disney’s Magic Kingdom on select dates from August to November 2019 and include special shows, parades and characters. Guests can also enjoy Trick or Treat events and complimentary drinks and snacks. 2019 party dates include Aug. 16, 20, 23, 27, 30; Sep. 2, 6, 8, 10, 13, 15, 17, 20, 22, 24, 27, 29; Oct. 1, 3, 4, 6, 8, 10, 11, 14, 15, 17, 18, 20, 21, 24, 25, 27, 29, 31; Nov. 1. Tickets start at $79 per person. Disney’s Riviera Resort Will Begin Taking Reservations this Month. Guests interested in staying at Disney’s New Riviera Resort can begin making reservations this month. DVC members will be able to begin making reservations via points later this spring. Plan to experience European Luxury while honoring the favored travels of Walt Disney himself. Sleeping Beauty’s castle, personally designed by Walt. Get Your Ears On with Mickey’s Mix Magic! This new projection show celebrating 90 years of Mickey and Minnie debuts at Disneyland combines music, imagery and a family dance party. Mickey’s Soundsational Parade returns to kick off the celebration! New Disney Princess Breakfast Adventures at the Disneyland Resort. Guests will enjoy a special 3-course breakfast at Napa Rose (Disney’s Grand Californian Hotel & Spa), with Princesses such as Belle, Tiana, Ariel and Jasmine. The event also includes activities, story time, a portrait and keepsake. Reservations available now! 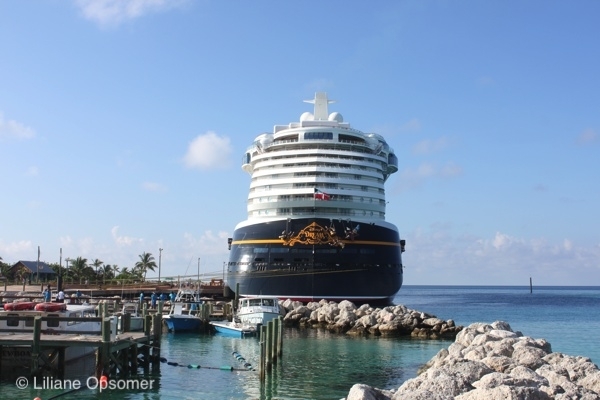 Price changes for Disney Cruise dining and massage services. Pricing affects reservations made after Dec. 14, 2019. New pricing: Palo Dinner-$30 per person, Palo Champagne Brunch-$40 per person, Remy Dinner-$125 per person, Remy Champagne Brunch-$75 per person, Castaway Cay Cabana Swedish Massage-$118 per person, Castaway Cay Couples Swedish Massage $220. 50% off deposit returns! Book a 4-night or longer Caribbean or Bahamas Cruise by February 15, 2019 (and sail between June 22, 2019 and May 30, 2020) and pay half the typical deposit. Full payment is still due by the final payment date. 2019 Alaska Itinerary changes. All Disney Cruise Line Alaskan Sailings departing in 2019 will now visit Endicott Arm instead of Tracy Arm. Disney Cruise Line Recommended Gratuity Increase. Gratuities paid (and pre-paid) prior to January 18, 2019 will remain at the old recommended rate of $12 per person per night of cruise. Pre-paid gratuities and onboard gratuities paid after January 18 fall under the new recommended rate of $13.50 per person per night of cruise. Return of Star Wars Day at Sea and Marvel Day at Sea for 2020! Star Ways Day at Sea events will take place on select Disney Fantasy 7-night Caribbean sailings out of Port Canaveral from January to March 2020. Marvel Day at Sea events will take place on select 5-night Disney Magic Caribbean and Bahamian sailings out of Miami from January to March 2020. 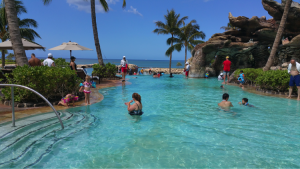 Aulani’s Waikolohe Pool & Spa refurbishments will take place between August 19 and December 17, 2019. Additional resort activities will be available and a $50 per night resort credit will be applied to the guest’s folio at check in. Adventures by Disney adds new destinations to it’s 2020 River Cruise Itineraries. Guests can now book a trip down the Rhone River, sailing through the South of France. This new itinerary joins the 27 River Cruises already popular with Adventures by Disney. Bookings now open! Let All for Dreams Travel conquer your 2019 travel plans, allowing you to enjoy the memories instead of the planning stress. Click here for a free quote! 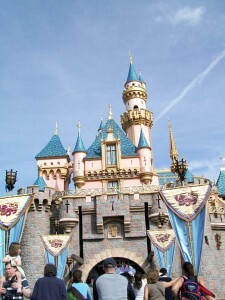 Bookings made with All for Dreams Travel receive complimentary services such as resort and package booking, ADR and Fast Pass scheduling, Disney or private ground transfer arrangements as well as all their tips and expertise. Blessings to all of you in 2019!